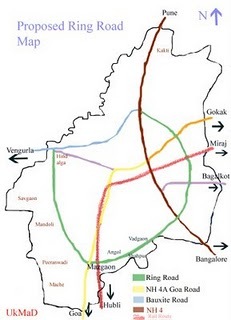 In my earlier posts, I had mentioned about Belgaum Ring Road and many had asked the map to know how it would be. So here is the map. It is not to scale, it is just indicative in nature.